"If you bought me a pair of linen trousers, I'd be a very happy man indeed. If you told me I can get a pair with all the cool, breezy benefits of linen, but without any of the pesky creases, then I might just jump for joy." "All the brilliance of linen; none of the bothersome creases." Material as represented; seriously misrepresented fit. Response from Charles Tyrwhitt: It's ever such a shame that the trousers you ordered were not a suitable fit for you. 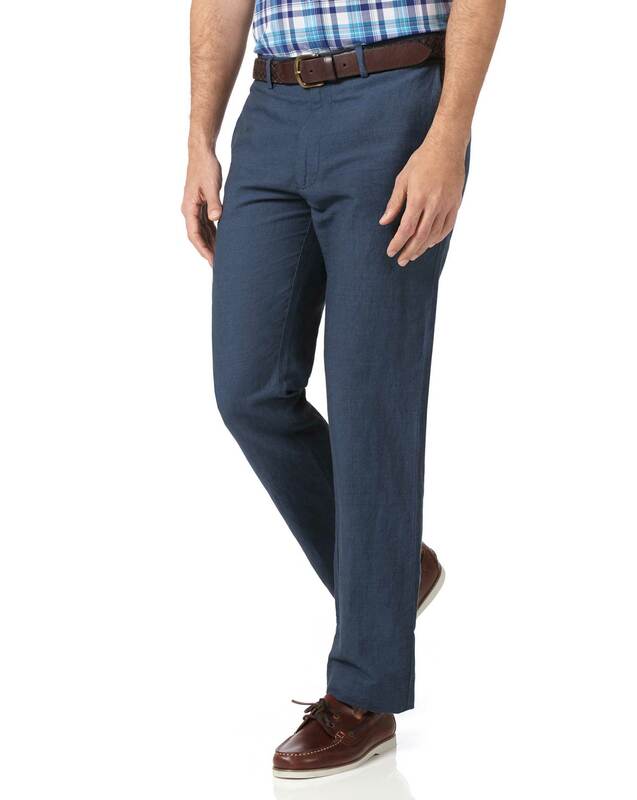 If you require something a little more fitted, you could give our Extra Slim Fit trousers a try. While these aren't available across our entire range, we do have plenty of great options to choose from. In the meantime, you can of course return these to us for an exchange or refund using the Freepost return service.